Archaeological sites are places and areas which contain remains or other evidence of past human activity, either prehistoric or historic, and even contemporary. Archaeological sites have often been destroyed by human intervention or transformation of the natural environment, built over using available material, or present still standing monuments and other buildings. There are a number of world-famous sites, such as Angkor Vat, Machu Pichu, Pompeii or Stonehenge, while most sites are only of secondary importance and often not known even to people in the region. Archaeologists use a variety of methods for identifying sites, ranging from satellite remote sensing data to terrestrial non-invasive prospection. Excavation of a site destroys the so called archaeological record (i.e. the layers of remains), which means that accurate and detailed documentation of the site and finds is of crucial importance. Only built and sometimes reconstructed elements remain at the site, while the finds are deposited in archaeological museum and other collections. Indeed, archaeological finds are among the largest cultural heritage collections of which only a small selection of items can be displayed in museum visitor areas. 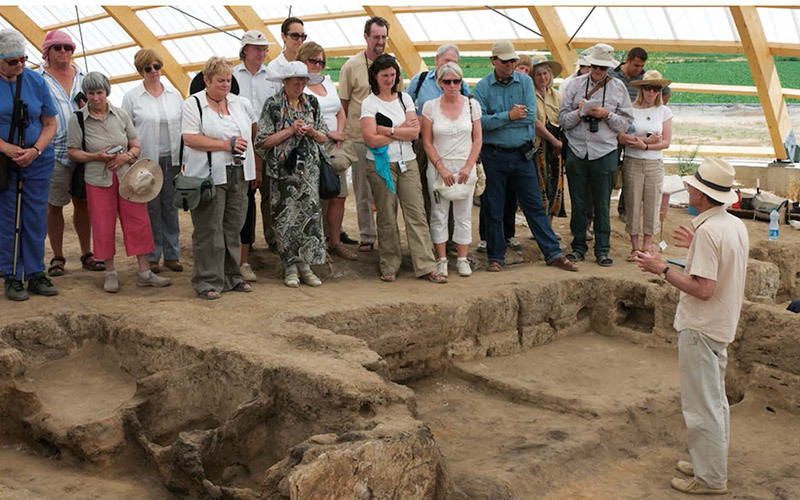 In recent decades community archaeology projects have sought to engage the interest of members of the public through local presentations, excavations which are open to visitors and websites that aim to raise awareness of the cultural significance of a site and allow for following on-going excavations. Multimedia and virtual reality technologies are increasingly used to communicate archaeological and historic sites for the benefit of the local community, both to strengthen local cultural history and identity as well as promote the sites to tourists.